Reeti Banerjee enjoys conducting research in order to benefit her community. She also loves to travel and experience different cultures. She plans to become a dentist in the future. She is excited to help children learn to love science! 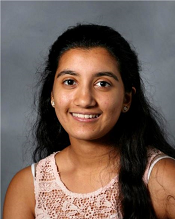 Ruchi Banerjee has taken AP Chemistry, AP Physics, and AP Biology, Honors Science Research, and Science Is Fun! She loves running and reading in her spare time. She plans to attend college and major in engineering after high school. 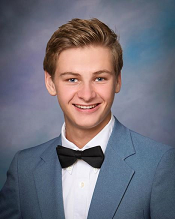 Hal Carrigan has taken AP Biology, AP Chemistry, AP Physics, and AP Calculus, Honors Science Research, Calculus 3, and Linear Algebra. He enjoyed participating in Math Club and Key Club. In his spare time, Hal enjoys running and golfing. He is attending Arizona State University in the Barrett Honors College. 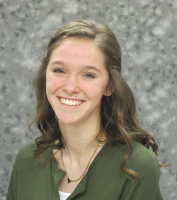 Braelyn Deem has taken AP Chemistry, AP English, AP Calculus, and AP Statistics. She enjoys running, baking, as well as playing piano and organ in her spare time. She plans to major in food science, attend culinary school, and open a bakery. 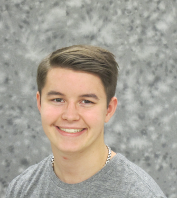 Jacob Fredette-Roman has taken AP Physics, AP Biology, and AP Chemistry. He enjoys participating in extracurricular activities. 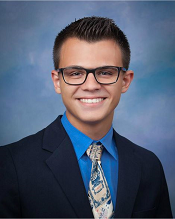 He is working on a major in biochemistry at Arizona State University in the Barrett Honors College, with the goal of a career in the medical field. 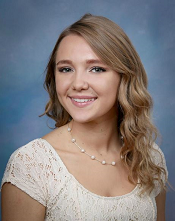 Kylie Horne has taken AP Chemistry and AP Environmental Science. She enjoys baking, reading, spending time with family and friends, and having fun with science. Combining her love for speaking and learning, she hopes to become a lawyer with an undergraduate degree in business. 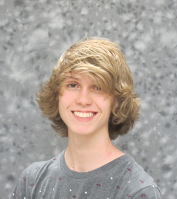 Ben Howell took AP Chemistry and enjoys doing biochemical research. He has taken four years of American Sign language and also like to play video games with friends. He is attending Arizona State University in the Barrett Honors College. 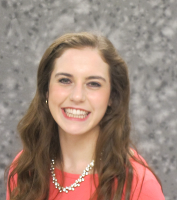 Emma Howell has taken AP Biology, AP Chemistry, and four years of Mandarin Chinese. In her free time she enjoys riding her bike, Tabitha, and hanging out with her triplet brother and sister. She is attending Arizona State University in the Barrett Honors College. Maddie Howell enjoys running, and studying science! She is currently attending Arizona State University in the Barrett Honors College, with the goal of becoming an anthropologist. 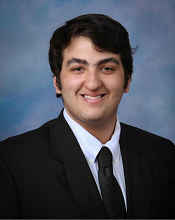 Michael Koury has taken Calculus AB/BC, AP Chemistry, and AP Physics, and Honors Science Research. He spends time outside of school reading. 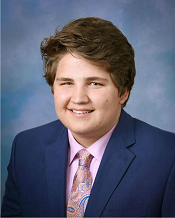 He is currently attending Arizona State University in the Barrett Honors College, with a strong emphasis on physics and mathematics. He is planning on attending graduate school at Cal Tech. 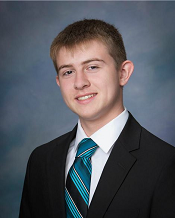 Zachary Rauschenberger has taken AP Biology, AP Chemistry, and AP Physics. He enjoys working with 3-D Printers and CAD software as well as other computer related hobbies (video games, coding, etc.). He hopes to one day apply his knowledge as a mechanical engineer. 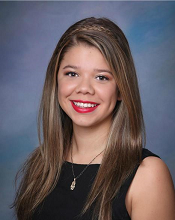 Cierra Apodaca attends Arizona State University. She enjoys listening to music and also playing it, reading, doing crafts, and Science is Fun! She intends to major in business management and minor in chemistry, and then run the family business. Roanne Atrero is currently a attending ASU. She has taken Honors Physics, AP Biology, AP Chemistry, Honors Science Research, and AP Computer Science. 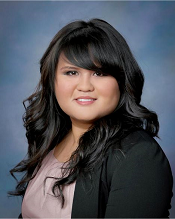 Outside of the classroom, Roanne enjoys reading, traveling, and going on long, relaxing drives. 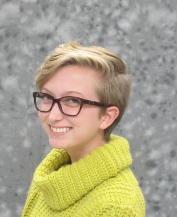 Samantha Bouchal is currently a freshman at Duke and was an intern with Science is Fun for three years. She has taken Multivariable Calculus, AP Biology, AP Chemistry, AP Calculus BC, and Honors Physics. She enjoys playing the piano, reading, performing in community theatre, and conducting research. Andrea Charcas attends Georgetown University. She has completed AP Biology, AP Chemistry, and AP Environmental Science. 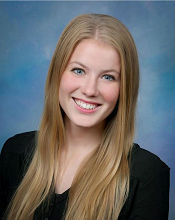 When she is not studying, Andrea enjoys writing, eating international cuisine, and listening to the Civil Wars. Andrea is an international business major with a minor in Spanish. 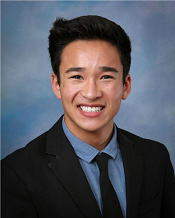 Henry Chong attends Arizona State University. He has taken AP Biology, AP Chemistry, Honors Science Research, AP Calculus BC, Calculus 3/Differential Equations, and Linear Algebra. Henry hopes to study actuarial science. 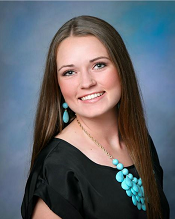 Megan Dieu attends Arizona State University. She has completed AP Biology, AP Chemistry and Honors Physics. Megan LOVED being an Intern for Science is Fun. To her, the best part of Science is Fun is sharing her love of science with the students. Megan is studying chemical engineering at ASU in hopes to make a difference in society while continuing her pursuit of knowledge. Megan's advice to young students is, "Keep your mind open to trying and learning new things. There is an entire world out there waiting to be discovered." José Fuentes is attending Cornell University. He has taken AP Chemistry, AP Calculus AB, AP Physics, AP Biology, AP Calculus BC, and Honors Science Research. He enjoys watching movies, playing chess, solving Rubik's cubes, reading books, and drawing. Asia Lee is attending Boston University. She has taken AP Chemistry and AP Biology. Asia’s studies are focusing on biomedical engineering. 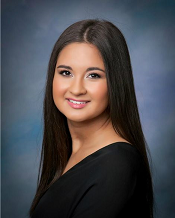 Currently a college freshman, Ashley Martinez has taken AP Chemistry and AP Biology. She enjoys playing guitar, singing and reading in her spare time. Ashley always strives to learn new and interesting things. A.J. Miller is a freshman in the Air Force Academy. He loves science and plans to major in physics. After college he plans to become a pilot in the Air Force. Joshua Serva attends Arizona State University. He took AP Chemistry and AP Calculus BC. He enjoys working on computers, Engineering Club, and computer programming. He is majoring in computer science. 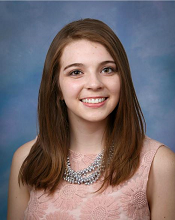 Currently a college freshman at Arizona State University, Krisztina Tope has taken AP Biology, AP Chemistry, and three years of American Sign Language. She wishes to pursue a career in sustainability, chemical engineering, or biotechnology, and at some point teach science or mathematics. In her spare time she loves volunteering, helping others, immersing herself in deaf culture, playing badminton, and finding the science all around her! 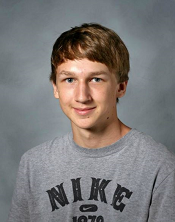 Currently a college freshman, Hayden Varney enjoys playing the piano, running, and studying science! He hopes to eventually become a psychiatrist, specializing in children's counseling. My name is Jonathan Villegas. I am a freshman at Arizona State University who likes science and math. In particular, I enjoy chemistry and physics. I really like to teach kids about the wonders of science. My favorite subject is a tie between chemistry and calculus. Hello, my name is Collin Watson and I am attending Chandler Gilbert Community College. My plan is to go to the University of Advancing Technology and major in Game Design. I'm a very funny and enthusiastic person who always brightens people's day. Even though I have my ups and downs, I always try to look at the brighter side of things. Science is spelled with a y.
Jenny Baek is majoring in electrical and computer engineering at the University of Texas at Austin. She is interested in computers and enjoys reading comic books in her spare time. I'm interested in where science can grow with computers, and can't wait to learn more about them in college!! 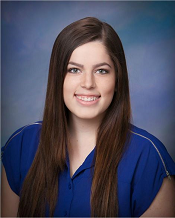 Rachel Furphy attends Arizona State University and is majoring in computer science. She is interested in game design and app development as a career and enjoys drawing and gaming. 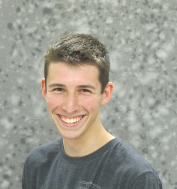 Andrew Kaye is an aspiring engineer who enjoys playing tennis and helping others. His favorite part of science is being able to learn about the results of experiments. Jefferson Le is currently studying computer science. He eventually plans to become a video-game designer and has many hobbies and interests, like art, foreign films, and, of course, science. Science interests me because it fosters new ways to approach real life problems that can help you learn more about the world and even yourself. Once a shy student with little confidence in elementary school, then a confident presenter, Brandon Ngo now attends Duke University in Durham, North Carolina. He is studying biochemical engineering and wishes to become a doctor or professor. 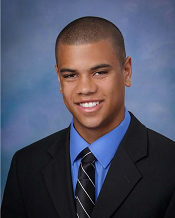 In his free time, Brandon enjoys playing and teaching the piano and volunteering at the Duke hospital. Tyler Pinho is a freshman at Barrett Honors College at Arizona State University studying for a Master's in Computer Science and a Minor in Psychology. He plans on taking his hobby of designing video games and making it his career. He has been involved in all fields of science and has taken an interest in conducting research in the near future. Life without technology is a life without advancement. Irene Ruan loves music and being a foodie. 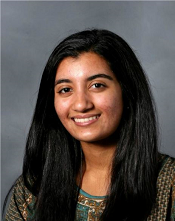 Throughout high school, she discovered her love for science and has now achieved her goal of studying electrical engineering in college at the University of Pennsylvania. Additionally, Irene is interested in engineering management. In his free time, Justin Sawyer plays football and basketball. He also likes to play all types of video games. Cassandra Sieg loves chemistry. She plans on becoming a pharmacist, so chemistry is a great way to enrich her mind. She really likes to read comics and watch cartoons and draw her favorite characters from them. Laura Smith was enrolled in the first-ever Science is Fun high school class. Science is Fun has sparked Laura's interest in science and she now studies biology and chemistry in college with the hope of going to medical school. Miguel Ramirez loves to play video games, make music, and solve problems. He was born in Mexico and works to one day become either a composer or an engineer. I like science because it helps explain the world around us. 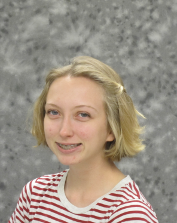 Elona Wallengren enjoys playing video games and board games, solving Rubik’s Cubes, and memorizing digits of pi. She now attends Chalmers University of Technology in Göteborg, Sweden, where she is majoring in Applied Physics. Currently, she has no career plans. Science is fascinating because there is always more to learn and it is amazing how all of the different studies interconnect and allow for remarkable advancements. 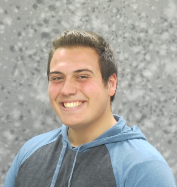 Joe Schneider attends the University of Notre Dame and is interested in a career in medicine. He plans to major in accounting or finance and then apply to medical school. His hobbies include intramural tennis and basketball, going to all the home Notre Dame football games, reading the news, and hanging out with his friends. Currently, Joe participates in the red cross club, the pre med club, and the Wall Street club, and he is student union board representative for his dorm.